Ipoh city is well-known for its rich history and heritage houses, many ‘must see’ world-class tourist attractions and is also a food haven known for its many local delicacies unique to Malaysia. In fact, Perak has been listed as among the Top 10 'must visit' regions for 2017, according to world-famous Lonely Planet. 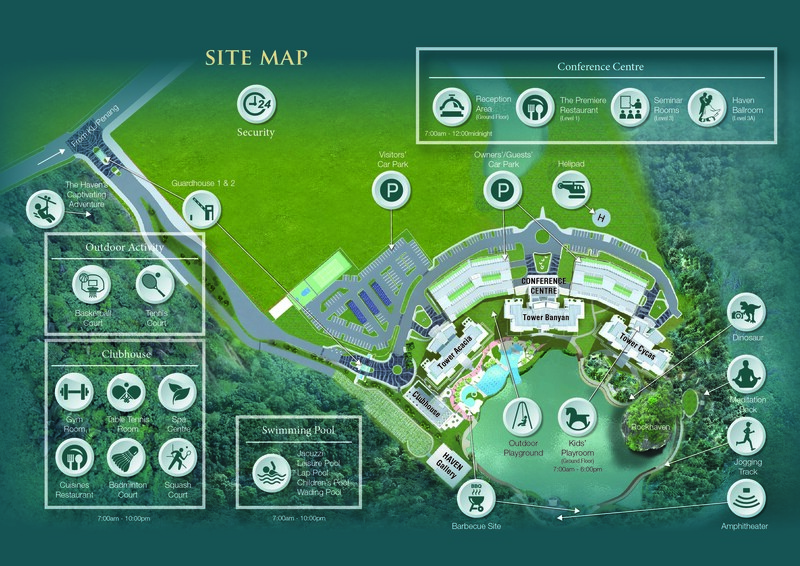 The Haven Ipoh is now at the forefront of Perak’s and Malaysia’s luxury hospitality industry, highlighting the city’s natural assets of limestone hills, nature hideaways and home-grown uniqueness. There is a host of activities to participate in and an amazing array of food to indulge in when you stay at the The Haven Resort Hotel, Ipoh. Opt to go for a leisurely jog outdoors at our 600-metre jogging track around the natural lake. ​Our Trademark Seahorse-Shaped swimming pool comes in five-level - jacuzzi, leisure pool, lap pool, children's pool and wading pool, and varying depths, catering to both the old and the young at heart. Sweat it out at our fully-equipped gym with the latest gear for a cardio workout, weight lifting or stretching. Open 24-hours. Complete your swim or workout session at our steam room located at the Clubhouse, or enjoy a game of table tennis, badminton, squash, basketball or tennis with your friends or family. All our facilities open from 7.00am to 10.00pm. (Tennis & Basketball court 9.00am to 7.00pm). Calling all yoga enthusiasts! The Haven Ipoh makes for a relaxing outdoor yoga or meditating session. The Haven is home to many beautiful and unique plants, and to a large number of animals and other wildlife species. Having trouble getting to The Haven Resort Hotel or going out? Shuttle service (charges apply) is available upon request at our Reception. Rent a bicycle from our reception to explore the surroundings and Places of Interest near to The Haven Resort Hotel. We have various Ipoh Tour Packages to visit attractions in Perak or other places in Malaysia generally available for you to choose from during your stay at The Haven Resort Hotel.